Fat to fit diaries: St John's Wort in the form of Rebalance® - my miracle cure? St John's Wort in the form of Rebalance® - my miracle cure? Last week when I was at the doctors for a follow up appointment for my navel infection, the doctor asked me if my energy levels had recovered. As some of you may recall I have been waking up extremely tired the last few weeks and finding it really hard to motivate myself to train. In addition, my performance dropped and my legs ached each morning regardless of how much I had rested in the days beforehand. This was the reason I pulled out of Trail Ticino. When I informed the doctor that my energy levels were ever so slightly better, but still not normal and that the aches in my legs were ever present he started enquiring as to whether it was possible that I had been overtraining (or overreaching as he called it). I told him I did not believe I had been overreaching as I had been doing much higher mileage earlier this year. I had also taken some time off training recently, in the hope that my body just needed some rest, but with no improvement in my symptoms. After this the doctor started asking me questions regarding my general mood and state of mind. He asked me if it was possible that I was depressed. This is something that I had been wondering myself, but it is always hard to know if the extreme fatigue makes you feel like you are a bit depressed or if being depressed causes you the fatigue. It is a little like the chicken and the egg situation. Also there is no reason at all for me to feel depressed, so I had been dismissing the idea. However, I had been reading up on the subject of fatigue, muscular aches and depression, and I found many articles stating that they are intrinsically linked. Depression apparently is very capable of causing physical symptoms such as muscle aches and fatigue. 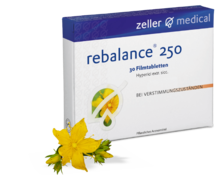 When I told the doctor that it was possible I was slightly depressed, but that I could not be sure, he suggested that I take a natural medication called Rebalance® 250 made by Zeller Medical and see if that improved my energy levels and eliminated the muscle aches. I started taking the medication last Tuesday, and on Wednesday (Swiss National Day) I was feeling extremely ill. I wondered if I was experiencing some the side effects of the main active ingredient of Rebalance® i.e. St John's Wort, as whilst most people have no side effects, others suffer from nausea, vomiting, headaches, dizziness, mild stomach upsets and a dry mouth. I seemed to be experiencing all of those and I spent the whole of Wednesday in bed (luckily it was a Public holiday). The doctor had told me to take 1 tablet in the morning and 1 tablet in the evening, so I decided that maybe the dose was too strong and I opted from Thursday onwards to take only one tablet per day. Since then I have experienced no more side effects and my energy levels have slowly been returning to normal. My mood is now much better and I no longer feel lethargic and overly tired in the mornings. 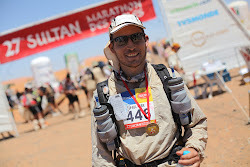 I also have a real desire to get out there and start training again, in preparation for the Lucern marathon in October. The muscular aches in my legs disappeared just as quickly as they had arrived, and physically as of the weekend I feel healthy again. So did I have a virus that recovered by itself, or is St John's Wort a miracle cure? Numerous studies have suggested that St John's Wort is just as effective as antidepressants at treating mild to moderate depression, and it is also used to treat Obsessive Compulsive Disorder (OCD), sleep disturbances, anxiety and agitation. Whilst some people experience mild side effects, it is generally considered safe. The main danger is that it can interact with other medications and alter their effectiveness. For this reason some countries such as Ireland and Germany have made St John's Wort available via prescription only. If you are taking other medications it is best to go and check with your doctor first before taking St John's Wort. Have any of you had similar positive experiences with St John's Wort? Or have you tried it and found it to be ineffective? I've had a friend tell me it helps her with her mood. For me the vitamins that work best to help with my mood are vitamin D and fish oil. Glad your energy is coming back to you either way. Did your friend have any side effects? I wonder if the day I was sick in bed was due to the side effects of a stronger dose or whether I was just not feeling well in general. My friend did not have any side effects but she said she didn't feel as quick witted while taking St. John Worts. Ah yes that might be the case for me too. I don't think I need to take it for much longer so I will see if I notice a change in that regard when I stop taking it.